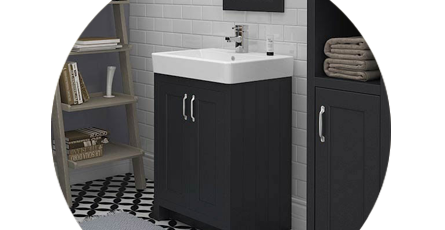 If there are numerous people living in your home then installing a freestanding vanity unit makes sense as these clever fixtures will keep your clutter hidden and provide enough storage for all the family. If you have a large bathroom then fitting a freestanding unit is one of the best ways to create a focal point as they have a real presence. You can easily match them with other items of furniture to give the room a harmonised feel.